← PDF Text Replacer is not working. How to replace text in PDF files Programmatically? Replace Text in all pages of a PDF Document. Best Find, Search and Replace Text in PDF software. I have many pdf files and I want to automatically change their Fast Web View properties from No to Yes, to optimize pdf for web. Is it possible to do that using Batch PDF Editor Tool? If not, would you consider adding such a feature? 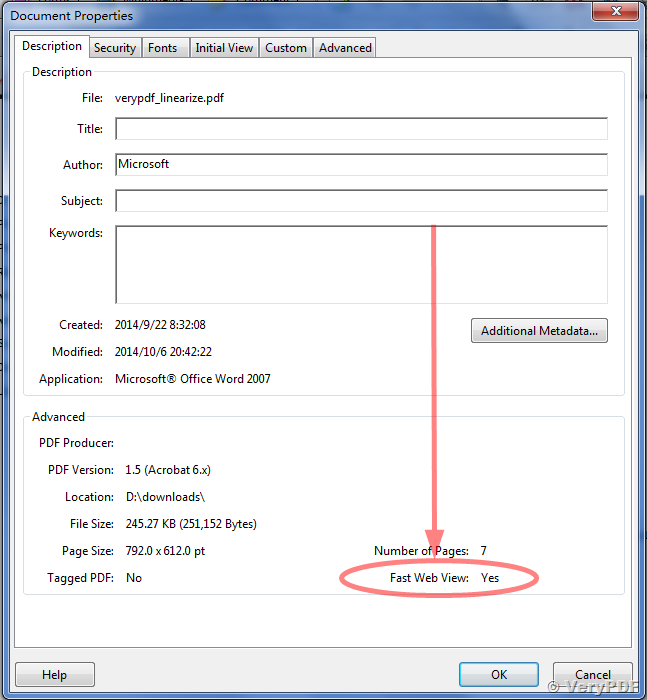 for %F in (D:\temp\*.pdf) do pdfsecure.exe -perm -1 -linearize "%F" "D:\out\_new_%~nF.pdf"
You have an interesting product called "PDF Linearization Optimizer Command Line". I need a product to make my PDFs available for Fast Web View without changing any image compression or content elements. I downloaded your trial version but when I try to optimize my own test pdf, it says "fail" and does not linearize anything. The test PDF is sized 14 MB but I need verification that exactly files of such sizes will be linearized. I already have software which pretends to linearize files and changes the linearization flag ("Fast Web View" = Yes in Acrobat) but does not actually make the file available for fast web view (the files are not downloaded gradually from the server). Therefore I want to test with a real-size file before I buy any software to do this. Please let me know why this file fails to linearize with your trial version and if your trial version is actually able to linearize such PDF files so that they will be available for fast web view. We apologize for any inconvenience this may have caused to you, we will download and test your sample PDF file shortly. We hoping "VeryPDF PDF Security and Signature" will able to linearize your PDF file properly, please to try. 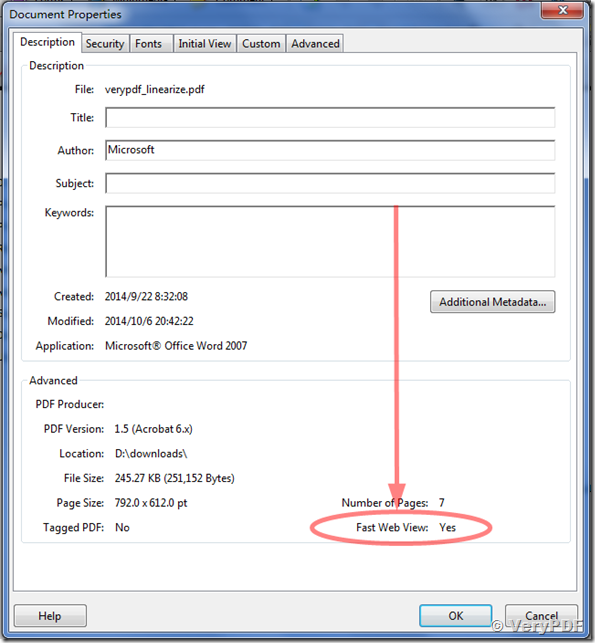 The latter application (PDF Security and Signature) seems to work but pdfopt.exe still does not. Yes, we are using a new method to linearize the PDF files in "PDF Security and Signature Command Line" software, so you can always use "PDF Security and Signature Command Line" software to linearize your PDF files. This entry was posted in PDF Linearization Optimizer, PDF Optimizer and tagged fast web view, fast web view for pdf, PDF linearization, pdf linearize. Bookmark the permalink.